In April 2018, Salford Together hosted an exciting induction programme for our new Urgent Care and Enhanced Care teams. 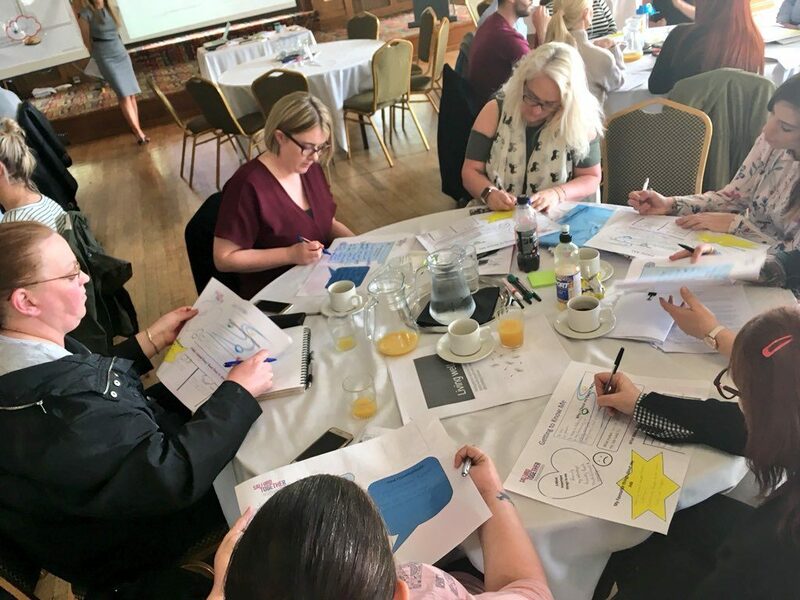 The inspiring and interactive four-day induction series strived to ensure the newly recruited teams put their best foot forward as they begin their journey as part of Salford Together, Salford’s Integrated Care Organisation. To find out more about the work and partners of Salford Together, browse our website. The two new teams were represented by a mix of newly appointed nurses, pharmacists, mental health, advanced practitioners, administrators, occupational health and support workers, all ready to embark on the induction event. Chris Forrest, Salford Together, opened the event and set the scene for the upcoming four days of the induction event. With various speakers lined up, sessions planned and activities to get to you know colleagues, it promises to be a great opportunity for the teams. This event marks the first time the whole team have come together for their Salford Together initiation. Chris stated the importance of building strong relationships to create the conditions for a high performing team. With an introductory session, senior leaders Jacqui Burrow, Divisional Director of Nursing and Salford GP Dr Paul Bishop, Salford Primary Care Together/NHS Salford Clinical Commissioning Group presented the vision and direction of the organisation. Jacqui opened by crediting the amalgamation of partners, where people in Salford, stakeholder and partners work together to improve the outcomes in Salford. Jacqui continues with Salford’s challenges that include a 6% population growth forecast, not just in the existing demographic but also across places such as MediaCityUK, making our population unsurprisingly diverse. All our challenges come up against the harsh reality, that we need to reduce our spend but this isn’t about cutting – there’s a lot of duplication and waste in our system, so it’s ‘about doing things differently’. Jacquie praises the uniqueness of Salford Together with only one other similar organisation in the UK. We’ve seen a fundamental shift in the way we work, it’s not just providing community care, it’s improving pathways, sharing records and maximising independence – where a lot of this currently gets sucked into hospital settings and Salford Together will be bringing that out. Dr Paul Bishop, Salford GP and Transformational Director at Salford Primary Care Together takes to the stage exclaiming how fortunate he is to work across varied environment and has a vested interest in this programme of work. Paul confronts the challenges we all face in the room, how it’s common for him to feel frustrated with his level of care, a lack of communication between staff and how fragmented patient care is. Next up the room heard from Bernadette Elder, Chief Executive Officer at Inspiring Communities Together part of Salford’s Voluntary sector with over 1,500 voluntary, community and social enterprise working in Salford. Bernadette shared with the room her thoughts on the importance of joined up work between the VCSE and the healthcare sector, creating a much better offer for the people of Salford; so they can feel listened to and in control of their health and wellbeing. The room was split into their teams and assigned with case studies for review. The task is it to strike a balance between what’s important to people for a good quality of life and how they want to be supported. This approach ensures we have provided people with the informed decision and how they want their health and care to be managed. Teams then move into a ‘one page profile’ session, completing a ‘getting to know you’ on themselves and using the same profile technique to complete it on a colleague, finding out in three minutes what people like and admire about them, how best to support the individual, what’s important to them. Question also include, what makes your job hard, what makes a good orbad day and what they will bring to the new team. This short session revealed a fantastic range of skills and professions across the team, also understanding what’s important to our new colleagues and sharing how we can be supportive as they begin to work together. Chris leads into the next session on change and complexity, referencing the McKinsey 7 S Framework as a tool for creating structure around a complex moving situation, that is Salford Together. The session reassures teams that we’re right a the edge of something that’s not been done before so it’s understandable to feel chaotic. 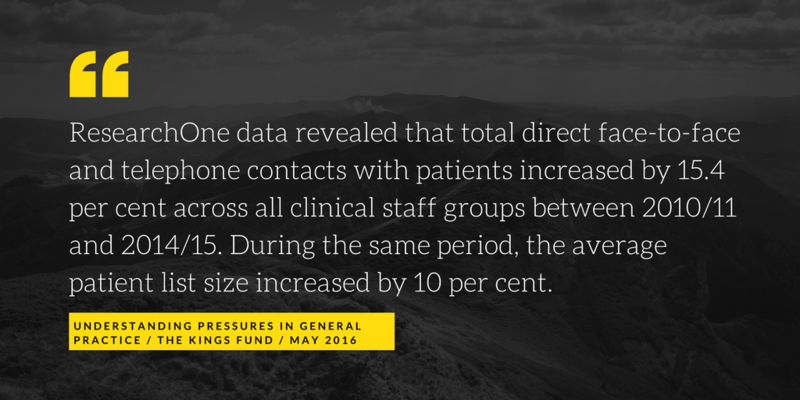 We can collect quantitative data, but the reason we need patient stories is to have real life examples: how did that feel, what was the impact on their life and their families life. Finally, June Roberts, and Nadine Payne, Evaluation Programme Manager at Haelo, present an evaluation and data session to share how will we prove the project is successful and why is that important. The group looked through region wide goals, which include examples such as reduction in GP appointments, A&E admissions and NWAS referrals. Together teams explore what success looks like for ST and how we will use what we learnt, what worked, what didn’t, why that happened to inform our work. Teams are tasked to break down one of the Greater Manchester outcome measures into smaller goals and how will we know we got there, on our journey to success. Day 2 started with a recap of the previous day and then the delegates heard from Alison Antrobus and Stella Higgin about the challenges and joys of modern social work. In an interactive session using case studies and examples the delegates explored how health and social work can really work together effectively for the people of Salford and were able to explore in detail how the professions can come together in the new teams. The delegates then picked up where they left off yesterday with Caitlin. They explored the concepts of citizenship and Just Enough Support and explored a framework for mapping and identifying community assets in Salford. The day closed with a presentation from Dr Neil Turton, Chief Executive of Salford Primary Care Together who outlined the organisations role in transforming, improving and bringing primary care together in Salford on neighbourhood footprints. Day 3 began with Karen Hodgetts, Head of Operations, Greater Manchester Mental Health Trust outlining the way ahead for the mental health care for our communities. Karen outlined the pyramid of current services and again using service user stories delegates were able to discuss how mental health professionals are able to work across boundaries in their new teams for the benefit of Salford residents. We then explored high performing teams, and focussed on how we can start to build the new teams in to models of high performance using the by fostering trust, discussion & debate, commitment, and with a focus on results and holding each other to account. The teams focussed on the element of trust, and after a detailed exploration made a commitment to their future selves. This personal, confidential pledge was written and addressed to themselves sealed in an envelope and it will be posted to them in 3 weeks’ time as a reminder of their commitment to the team. Esther Brearley, Organisational Development, Salford Royal NHS Foundation Trust, then joined the group for an interactive exploration of emotional intelligence. Delegates self-assessed themselves against the four quadrants as well as completing a detailed questionnaire which assessed their strengths and areas for development in relation to their own emotional intelligence. The afternoon was given over to each of the new teams to work on their role and team specific induction, so that both teams had time to devote to working out the finer details of how they will operate on a day to day basis once the services have launched. We’re back at Buile Hill Park Hall for the fourth and final day of the induction event for our new enhanced care and urgent care teams. The coffee is flowing and we’re about to begin with an outline from Chris Forrest, Salford Together. Dr Mhairi Yates and Dr Kate Jones share their experience of the current climate of general practice and why teams such as the Salford Together Enhanced and Urgent Care are so important. The presentation touched on work life balance, resilience and trust building – a key part of making these teams a success. After a short break the two teams were each handed a case study each that would describe a scenario about to be acted out by today’s actors from the Clear Thinking Partnership. Followed up with observations by the team members with a view to start a discussion and debate. Once they had seen the case study performed by the actors, the study was acted out again, this time with guidance from team members with their suggestions and guidance on how they’d deal with the scenario in real life. This kind of group feedback is invaluable – sharing experience, knowledge and advise from the wide and varied backgrounds in the room. The Urgent Care team have headed out into Salford to investigate support available. After lunch the teams switched roles and the enhanced care team, following a brief, headed out into Salford and the urgent care team stayed in the main room to watch the second case study performance, again presented by Clear Thinking Partnership. Again, we heard feedback about how best we could all strive towards person centred care. So, that’s a wrap. We’ve had some fantastic feedback from the teams attending this four-day induction, some of which has been invaluable to use and the future planning of Salford Together. Watch this space to find out how our new teams, and our plans, progress.